Hi Becky! I'm so happy that you're back with us! As you can see Beth has been doing a great job running this great group in your absence. She's amazing! 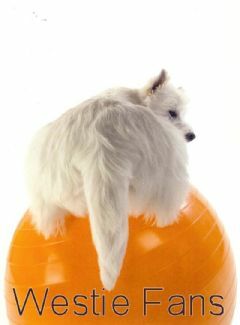 I'm sure that you can drop those 50 lbs-I need to do the same so we can do this together! I'm looking forward to the photo challenge! What a great idea! I thought I would use this "Introduce Yourself to the Team Forum" because many of you many not know who I am. I was with the team about 4 years ago. It hardly seems that many years had passed and yet they had. I still haven't lost my weight. That's when I realized that Spark People and the Spark Friend Support I received was the only thing that was working. So with the help of Spark and the help of my doctor who insists that I get 50 pounds off, maybe by my 70th birthday I can shout, "Success!" I just went through the Westie Fans and Friended everyone on the team (I hope I didn't miss anyone). I was amazed at all the beautiful Westies we have in our group!! With all those cute pups it would be a fun time to join in the photo challenge that Beth put together for us for the Patriotic Westie. It should be fun!